A crash involving a 4x4 pick-up has closed one lane of the A1 between Stamford and Grantham this afternoon, Wednesday July 6. 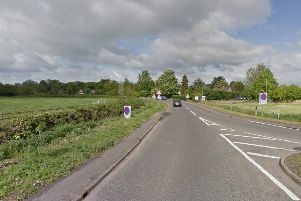 The crash, involving a Ford Ranger, has taken place on the northbound carriageway between A606 and Tickencote services. The outside lane has been closed by police.